My SCOM Reporting console is blank, I’m not sure when this happened as I don’t go in there very often. I still get scheduled reports, and I can still see Report Tasks in Alert views for example. I’m just unable to create or edit reports. Any ideas? Do I have to reinstall Reporting? Sorry, should have added that to original post - nothing obvious that I can see, clearing cache and running from another machine also has same result. 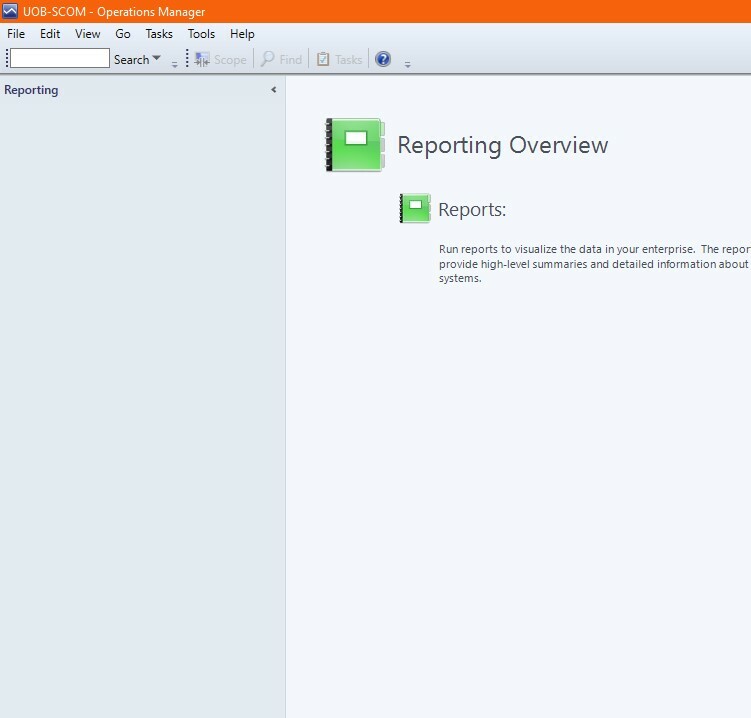 Reporting is up and running, and can browse to the Reports URIs and see content. go to the same URL and check if you can find a data source named “Data Warehouse Main”.